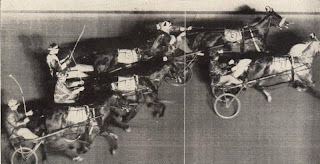 Six divisions, each worth $50,000, launch the George Morton Levy Series for older pacers at Yonkers Raceway on Saturday, March 23. The aged-pacing mares begin The Blue Chip Matchmaker Series on Friday, March 22 with a quintet of divisions. More harness information than anywhere else you can wager on the web includes TwinSpires’ exclusive harness horses to watch (H2W) list from tracks across the continent. Saturday is slated as the start of the “Levy” at Yonkers. Six competitive divisions were drawn. Division one looks to be Versado’s race to win or lose. We are siding with the losing scenario, as two horses other than he have great chances. Stonehouse Adam raced tremendously from post 8 last week. In the Winners-of-$25,000-L6 mile he sat off the pace and flew late to finish fourth. He’ll likely try to be near the top as he draws the rail this week and should be in much greater contention. Mainland Key N is also in with a shot. His last start was in an Open against Versado, where he gave chase to Versado’s 1:50.1 effort. Versado may be weaker this week due to drawing the far outside, which should help pacers inside of him. Annieswesterncard highlights the second division. He has some fierce competition to the inside—In Commando. In Commando raced against the monstrous Escape The News in the Aquarius last week, where he paced a first-over mile through fast fractions. He’ll likely try to take the top and rate the mile, where then he can fly into the stretch and hold off all rivals in behind. Speed has drawn the inside in the third division. We are taking our chances with two stalkers, Electrofire and Little Michael B. Electrofire has shown speed in previous efforts but may try to sit a pocket trip here. What is beneficial about that is he then can slide up the passing lane into the stretch to win with ease in a soft trip. Little Michael B also has speed but will likely sit off the pace. He can then save that speed for the final quarter and go hard late. More speed has drawn the inside in the fourth. A stalker with great potential is Sapphire City. He draws much better this week and is likely to try and get away near the top and save ground so he can swing into the stretch and test this fields’ strength. The fifth division is on the weakest of the six. Casimir Jitterbug is an Open class pacer shipping from Canada with a great chance. He has been successful in the Great White North but foiled by another top pacer there, Sparky Mark. 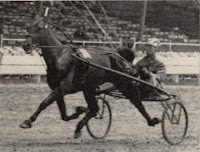 He has also had success at Yonkers, so lightning should strike twice in this event. The final division is tough for value. Foiled Again gets the rail off a good couple of qualifiers. We’ll try with another Free-for-All caliber pacer, Razzle Dazzle. In his first start of the year he was shuffled and closed late in a fast mile. He’ll likely get away mid-pack and will have to make a move at some point as Foiled Again may try to dictate the terms. This Friday, March 22, is the start of the Blue Chip Matchmaker Series, where the same horses will race week after week for five weeks until the final. In the first division of five, Bettors will likely hammer Western Silk, coming off a 1:55.3 qualifier on a half-mile track. Though, Hot List and Krispy Apple will give her a run for her money. Hot List was assigned post 7 in an Open a few weeks ago and kept pace with the field. She will likely improve with the rail. Krispy Apple is coming off a win from post 7 in the Open. Last week she sat off the pace through moderate fractions and flew down the stretch to pull off the upset. She’ll likely try to be more forwardly placed this week and will have less ground to make up. Ginger And Fred headlines the second division, off a 1:52.4 qualifier, defeating Anndrovette. 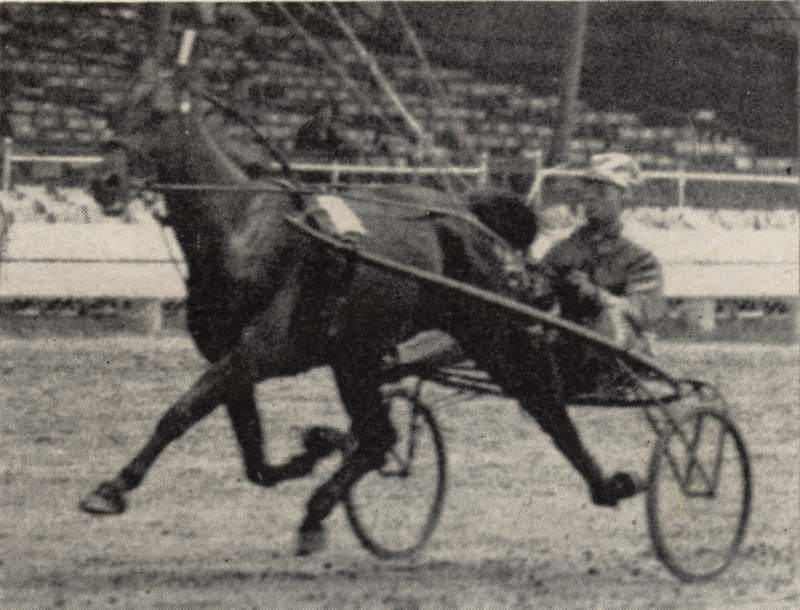 Another horse in this field qualified in 1:52.4 and defeated Anndrovette, Ginger And Fred’s stable mate Camille. Camille may provide better value with post 5 but should be placed near the top and sit a pocket trip until it’s time to pop. Also in with a shot is Keepers Destiny. She is getting post relief off a pocket mile in the Open last week, so she should be more involved in the mile this week and possibly could sit a pocket trip. Another Ron Burke entry, Rock N Soul, will likely take all the betting in division three. Feeling You may prove to be best of this group, though. She unfortunately drew the 8 hole in the Open last week so didn’t get a chance to pace in the mile. The rail should benefit this mare, who has done well at Yonkers this year. Darena Hanover might provide value too. Recently qualifying with Ginger And Fred, the Juggette champion has shown her talent on the half-mile track. From post 7, she may leave for mid-pack and ride cover to close hard into the stretch for a mild upset. Division four is the toughest of the quintet with two top mare pacers, Rocklamation and Anndrovette, jousting. Moonlit Dragon may be able to sit a pocket trip with her gate speed. Anndrovette and Rocklamation like to get the top on the half-mile track and they’ll likely tussle for it. Moonlit Dragon has gate speed and if saved she’ll have a strong say at the end of the mile. If a speed duel is not imminent then Cannae Cammie is also a factor. She gets post relief off a good closing effort against similar from post 7 last week. She draws the rail, so she should improve greatly and be in contention. The final division may seem to be in the hands of Ramona Disomma but she has one main foe—Ramalama. A favorite in her last race, Ramalama sat a little too far off the pace. It was her first start of the year and with the rail she is riding on a big effort tonight.